Several trees in the backyard didn't leaf out this spring. Found out many neighbors are having to remove dead or dying ash trees because the Emerald Ash Borer had done it's damage. We lost 3 trees so far but there are at least 2 others that will eventually die, it's just so sad. All the trees were larger than the house, so we hired a tree removal company cut them down, but to save some money we had them leave the logs instead of hauling them away. 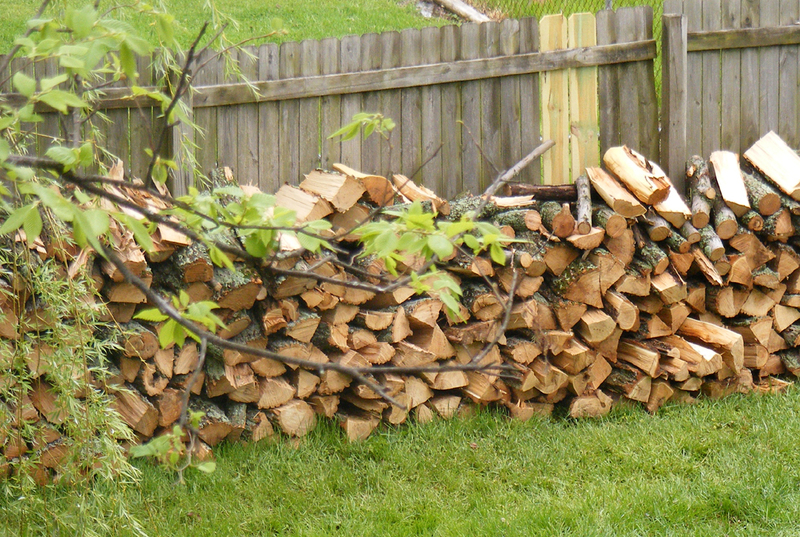 A landscaping friend helped us rent a gas powered wood splitter...what a time saver...but work was hard. Now that that the hard work is done I did a little playing, getting ready to teach a card class at the local scrapbook store this week. Oh my look at that wood. Now watch us have another warm winter. LOL Your cards look fun. Good luck with the class. 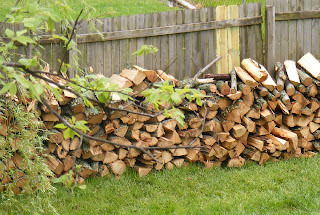 Too bad to lose the trees... making wood is a lot of hard work - but my husband loves doing it... go figure. No wonder it took you ages - that's a lot of warm nights in front of the fire!! Hope you haven't converted to gas! 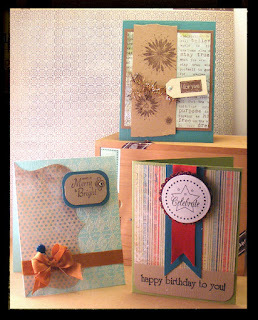 Love your cards Angie, love the use of the kraft cardstock. Makes them suiteable for the men too. Looks like your working hard. Our apple tree is probably going to have to go. So sad. Cute cards - have fun with your class. Looking real good, Angie, my husbond is also making lots of wood,for us to warm up with. 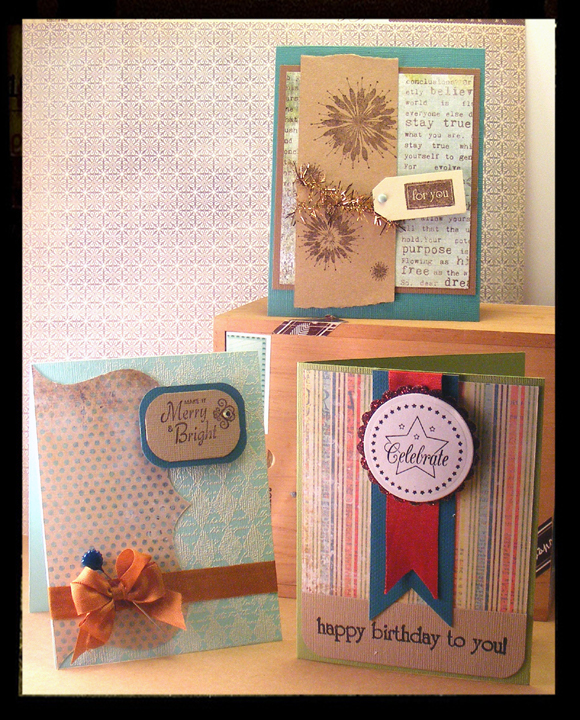 Your cards looks wonderful, I hope the teaching part this week, will be fun and lovely. I feel your pain....we have LOTS of trees, but have lost bunches to dutch elm disease and now emerald ash borer too. (My hubby thinks something might be happening to our quaking aspens too - one of my favorites so I hope not!) Even with so many trees; it saddens us SO much to lose those beautiful trees. Know how you feel. Hope you have a great time with your class though!